Many policies hostile to women’s health predate the Trump administration. But President Trump and the Republican-led Congress have made some remarkable moves to reshape women’s health law and policy, and curtail hard-fought access to reproductive health care and family planning services. From rolling back the Obama-era birth control mandate to chipping away at Medicaid, which covers half of all births in this country, to attempting to limit access to abortions, this is not a great moment for women’s health. “There has been a sharp turn from the direction the Obama administration was going into in terms of access to sexual and reproductive health care services,” said Alina Salganicoff, vice president and director of women’s health policy at the Kaiser Family Foundation. While some of the administration’s efforts have failed or been stopped by federal courts, others are marching ahead — and health advocates are bracing for what might come next. The Trump administration’s full impact on women’s health remains to be seen. But so far, the signals aren’t inspiring. In October, the Trump administration overhauled federal regulations governing the contraceptive coverage guarantee. The long-anticipated rules, which came out of Health and Human Services, relaxed the Obama-era birth control mandate — one of many protections for women’s health in the Affordable Care Act — which required employers to offer insurance that covered contraception for women. Before the mandate, many insurers did not cover contraceptives for women, which often meant they were unaffordable or out of reach. “We saw a giant change in coverage because of the mandate,” said Anne Davis, consulting medical director with Physicians for Reproductive Health. The new Trump-era rules meant companies can now refuse to cover the cost of birth control by seeking religious or moral exemptions — a move that was justified by the false notion that giving women free birth control makes them more promiscuous. There has been some good news on this front: Two federal courts — one in California and one in Pennsylvania — temporarily blocked the regulations, putting the administration’s rules on hold nationwide. Vice President Mike Pence, who restricted access to abortion while he was governor of Indiana, has been called a “one-man crusade” against Planned Parenthood. Charmaine Yoest, now assistant secretary at HHS, was the president and CEO of the anti-abortion group Americans United for Life. Valerie Huber, the former president of an abstinence-only education association, is the chief of staff to the assistant secretary for health at HHS. A top Trump adviser on health care is Katy Talento, an anti-abortion activist who has claimed that side effects of hormonal birth control include cancer and miscarriages. Matthew Bowman, who worked for the Christian anti-abortion group Alliance Defending Freedom, is now a lawyer at HHS who reportedly helped draft the birth control rollback. The observers and stakeholders Vox spoke to when the document came out said the language about conception and unborn children signaled a shift at the agency toward faith-based decision-making in health care. They also viewed it as more evidence of the religious right’s growing influence at the highest levels of government and Trump’s desire to fulfill campaign promises to expand religious freedom. In the first three years of the ACA, the proportion of uninsured women of reproductive age dropped by 41 percent. While the administration failed to fully repeal the ACA, it has found other ways to undermine the law and curtail the expanded coverage it provided — in particular, by chipping away at Medicaid. Medicaid is incredibly important for reproductive health: The program for low-income Americans pays for half of all births, including two-thirds of unplanned births. Three-quarters of the public dollars spent on family planning are Medicaid dollars, and in 17 states, Medicaid programs also cover abortion with state dollars. The ACA repeal-and-replace bills Congress tried to pass last year called for phasing out Medicaid expansion, cutting federal funds for the program, or introducing a block-grant funding system. After those failed, Republicans within the administration have been encouraging states to implement work requirements for the program (which Kentucky has already done and Mississippi is now considering). “So Congress came up short, but the Trump administration is using its executive and its administrative authority to undermine these programs,” said Hasstedt. Making it harder for people to be eligible for Medicaid is expected to result in hundreds of thousands of Americans losing coverage, Vox’s Dylan Scott reported. Fewer people on Medicaid means fewer women accessing health and reproductive services that do things like cover cancer screenings, improve access to birth control, and make sure moms and babies have health care throughout a pregnancy and in the months after a baby is born. 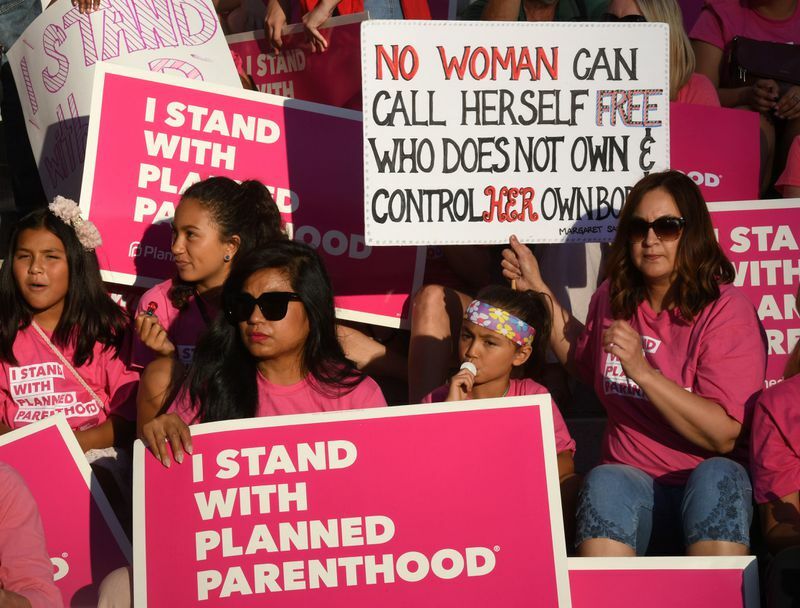 Every bill that Congress considered to roll back the ACA also called for excluding Planned Parenthood affiliates from Medicaid — making good on Trump’s campaign promise to defund the group. If these had passed, they would have meant that a woman who has Medicaid as her health insurance plan couldn’t go to Planned Parenthood for her health care and get those services covered. And Planned Parenthood would no longer be able to be reimbursed for these services. The impact could have been staggering. Three-quarters of the public dollars spent on family planning in this country are Medicaid dollars. And right now 2.5 million people rely on Planned Parenthood for a range of health care services, like birth control and cancer screenings. Again, excluding funding for Planned Parenthood didn’t happen last year. “But it remains a priority for social conservatives in Congress — and a priority for the Trump administration,” says Hasstedt. So don’t be surprised if we continue to see attacks on Planned Parenthood going forward. Defunding Planned Parenthood wasn’t only way Trump and congressional Republicans sought to limit access to abortions. On his first days in office, Trump reinstated and expanded the global gag rule, a law that prevents foreign NGOs that are supported by US funding from promoting or providing abortions. “This has led to defunding groups that even give information about safe abortion,” said Dr. Daniel Grossman, director of UC San Francisco’s Advancing New Standards in Reproductive Health. More recently, congressional Republicans pushed for the “Pain-Capable Unborn Child Protection Act,” a bill that would have made abortion after 20 weeks illegal in every state. As Vox’s Anna North explained, the law is based on junk science that suggests a fetus can feel pain. But this week, the Senate blocked the bill — another blow to the efforts to curtail women’s rights and reproductive health. In addition to bills to roll back access to abortion for women, an entire office dedicated to protecting providers who want to refuse to perform abortions also opened up under Trump. Health and Human Services just announced a new “Conscience and Religious Freedom” office to “vigorously uphold the rights of conscience and religious freedom,” acting HHS Secretary Eric Hargan recently announced. This was seen as a major victory for the pro-lifers, Vox’s Jen Kirby explained, since the move reverses Obama-era rules that barred health care workers from denying coverage for transgender patients or those seeking abortions. Considering that states have had legislative success in limiting abortion care, a federal government trying to do the same is worrisome, said Davis of Physicians for Reproductive Health. “Seven states in the US have only one remaining clinic because of clinic closures due to the legislative environment,” she added. Again, these efforts predate Trump, but having a president who bragged about addressing the March for Life, and who has anti-abortion advocates in key political and administrative positions, certainly isn’t expected to make the situation better. “In my administration,” Trump said in a video address to the marchers, “we will always defend the very first right in the Declaration of Independence, and that is the right to life.” He still has three more years to make good on that promise.